#SlimFastChallenge. You can read my first post about the challenge here. and my likes and dislikes regarding the challenge. Well I am disappointed to tell you that over the two weeks I didn't loose any weight. Pros and Cons section of this post. 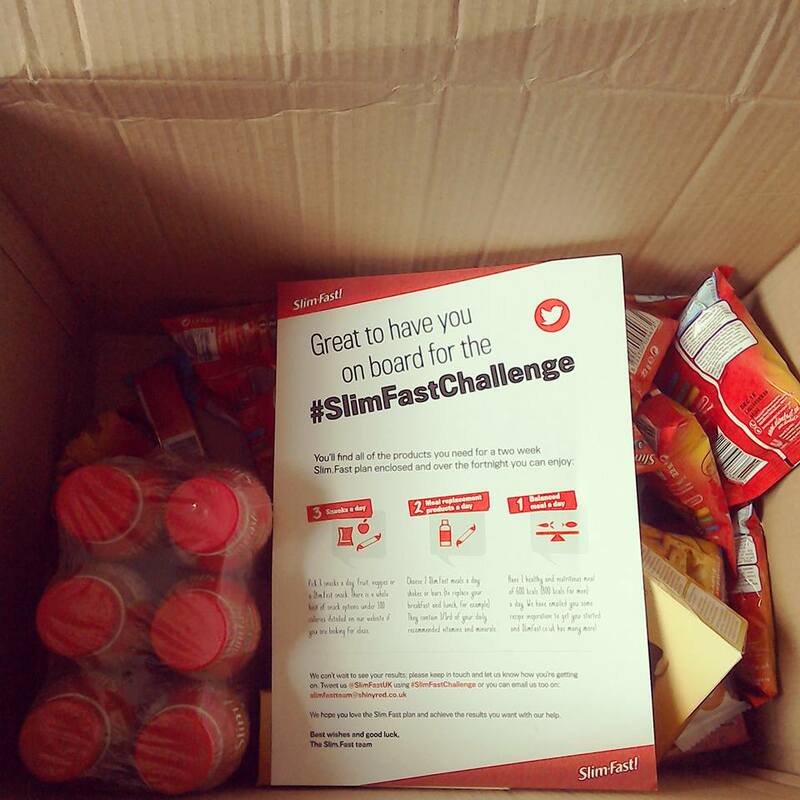 The slimfast plan is a meal replacement plan which includes low calorie snacks and a healthy meal a day. The plan is called the 3, 2, 1 plan which means that you have 3 low calorie snacks a day, 2 meal replacement bars or shakes and then a healthy 600 calorie meal. This can include the range of slimfast snacks and or healthy options such as fruit or veg. The plan is flexible and is made to loose weight in an easy way. other than planning your 600 calorie evening meal. - The plan is convenient for busy people like myself as you can just grab a bar or shake and go. shake or meal bar is ideal for when I am in a rush and don't really have time to eat much. having more than three snacks a day. I also found myself thinking of food alot of the time due to hunger. One of my main criticisms of the plan is that it has such a high sugar content. When if you are like me and have a sweet tooth you need to be cutting down. was a factor of why I didn't loose any weight. I think it could be because my body doesn't take to sugar very well and tends to hinder my weight loss. If anything has come from taking part in this challenge it would have to be that I now know that for me the best way for me to loose weight would be to stick to a healthy diet with loads of fruit and veg. have amazing results but it just turns out it wasn't for me. This is interesting to read, I had exactly the same problem I actually gained weight because I found it so hard to stick to, I have been losing weight eating healthy balanced meals. That is so frustrating to have worked so hard but lost none. I'm on slimming world and love it so far, as you can have occasional treats and still see results. Found your review of this interesting, I have thought about slim fast before but felt that it would be too much of a quick fix for me and not a permanent solution.